Our story starts way back in early 60′s when Janaki amma was invited to a function in Vijaya gardens. One person met her and mentioned that he was very fond of “Singara Velane Deva” (“Nee leela padeda Deva”). He asked her “Thalli, Naa Cinema ki oka pata paduthaava” (Respected Mam, will you sing a song for my movie). Janaki amma was absolutely moved by the gesture of that legend. He was none other than B N Reddy garu who directed ever living musicals like “Malleswari”/”Bhagya Rekha”/”Raja Makutam” by then. She humbly replied “You should never request me to sing a song in your movie. It should be an order from you to come and sing a song”. Thus, started their journey together. He was very fond of her voice that she played a major role in both musicals (“Rangula Ratnam”/”Bangaru Panjaram”) he created there after. Pooja Phalam had great melodies. Ghantasala mastaru-ANR garu gave us evergreen “Ninna leni andamedo”. Suseelamma-Savitri garu gave awesome performance in “Andena ee chethulakandena”/”Endu Dagi unnavo”/”Neruthuno Ledo”. B Vasantha garu got to sing playful songs for actress Rajashree garu in this movie. Janaki amma rendered 3 golden melodies in this movie. Actually, It was decided that SJ would be voice of L Vijayalakshmi garu in this movie. But BN Reddy garu insisted that she should be singing song for role of Jamuna garu as well. What a song it turned out to be!! It had lyrics of C Narayana Reddy, tune of S Rajeswara Rao (inspired from C Ramachandra’s “Aadha hain chandrama” from Navrang), on screen performance of Jamuna, voice of S Janaki. This song which happened before 51 years is still one of the regular hits in radios and TV’s. Pick Top 10 songs of any of the artists mentioned above, this song would be one among them. Many songs books/LP Compilations were released with this title. S Rajeswara Rao garu used to mention this as one of his best melodies in his Janaranajani programs and interviews. C Narayana Reddy garu mentioned in his interviews about the quest for perfection entire team showed in bringing out the best of his Lyrics. Really, those were the days!! Every artists respected the art of the other and every one wanted to deliver the best. SJ was at her melodious best in giving everything possible from a singer to this song. Innocence in voice/ perfection in grasping and presenting tune/ pronunciation, what not everything right from her breath controlled alaap to balanced landings was awesome!! 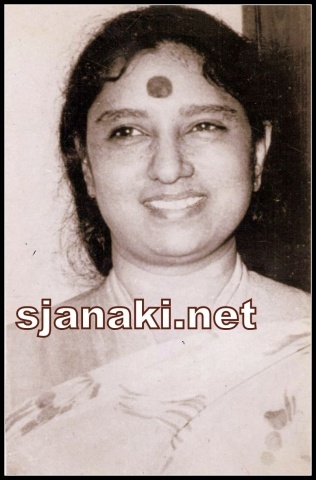 In 2008, When first award of P Suseela trust was given to S Janaki, ANR mentioned that SJ could deliver best of sangathis(modulations), even at very high pitch! Just listen to her rendition in this classic at “ee anubandhame, madhuraanandamai” to realize how true his words were! There is another repeated version of the song at end where she rendered a bit of song more emotionally. Infact, this song is soul of the movie! Jamuna renders it first in her loneliness, listening to which ANR falls in love with her. But, she moves on with her life, mentioning that she always looked after him like a brother. ANR gets to meet Savitri and loves her. But, scared of a repeated failure in his love life, he refuses to admit the same. He falls in trap of L Vijayalakshmi and her troupe. As story moves he gets bedridden and suffers from psychic disorder because of all these incidents. Savitri tries in vain, but fails to bring him back his regular status. During this process, there are repeated versions of “Pagale Vennala” in background scores, some times in a voice of SJ/ some times on Violin. There is a melodious rendition of bit of the song by PS as well. At end, Jamuna returns back to see ANR. This is when she sings another emotional version of the song in vocals of SJ. ANR recovers and greets her with all pleasure. Movie ends with ANR recognizing the efforts of Savitri and accepting her as his life partner. Thus, his journey in quest of love starts with “pagale vennala” and ends with the same when he realizes that true love is beyond any calculations!! “Siva Deeksha paruralanu raa” is a beautiful Javali which was originally written by Ghanam Seenayya (1704-173), a minister for the Madhura King Vijaya Ranga Chokkanadha. It was used in various stage shows. But, SJ’s rendition along with L Vijayalakshmi’s dance performance gave a different look to it. We can’t help appreciating the greatness of B N Reddy garu in presenting the javali in such a dignified manner. SJ’s singing through out the song in a traditional manner followed by her jathi swara at end made this song most memorable!! There was yet another dance number from L Vijayalakshmi for singing of SJ “madana manasayera”, inspired from Chitragupta’s creation in voice of Lataji “Balma manena” from “Opera house”. One of the least heard “gems” of SJ in her pristine vocals rendering a bit from Kshetrayya’s “Manchi dinamu”.. Really how golden string like her voice was!! Songs from this movie, especially “Pagale Vennela” remains forever in the collections of music lovers! !